At Schneider Electric’s smart factory in Batam, Indonesia, scores of sensors are being used to transmit data about the health of manufacturing equipment to plant operators. The results have been nothing short of impressive. Thanks to the use of the internet of things (IoT), the French firm was able to reduce material wastage substantially. Examples like these abound across the world, but it is only in recent years that organisations in APAC are starting to realise the benefits of IoT. 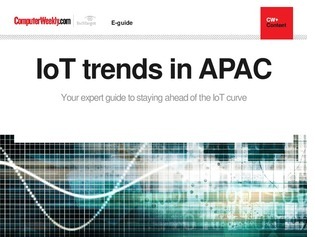 In this e-guide, read more about Schneider Electric’s experience with IoT in Indonesia, how Australia’s Citic Pacific Mining is using the technology to track vehicles, and what the industry is doing to address IoT challenges in area such as security.